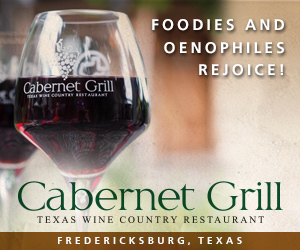 Since October is Texas Wine Month, it made a perfect time to head to the Texas Hill Country and visit US 290. Gloria and I arranged a weekend with her brother Lucho and his wife Patricia, and I started trying to plan the two day road trip. 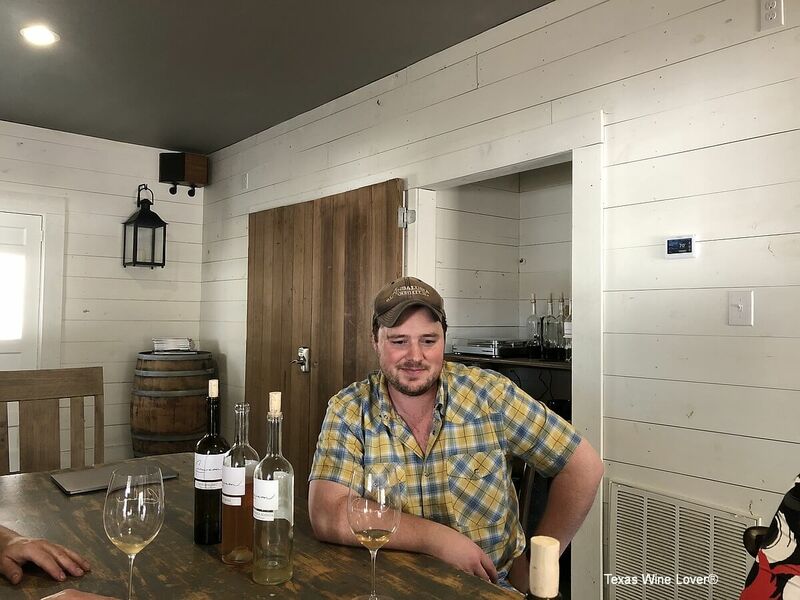 A lot of new wineries have opened since our last trip to the Hill Country, so the first order of business was to visit those. 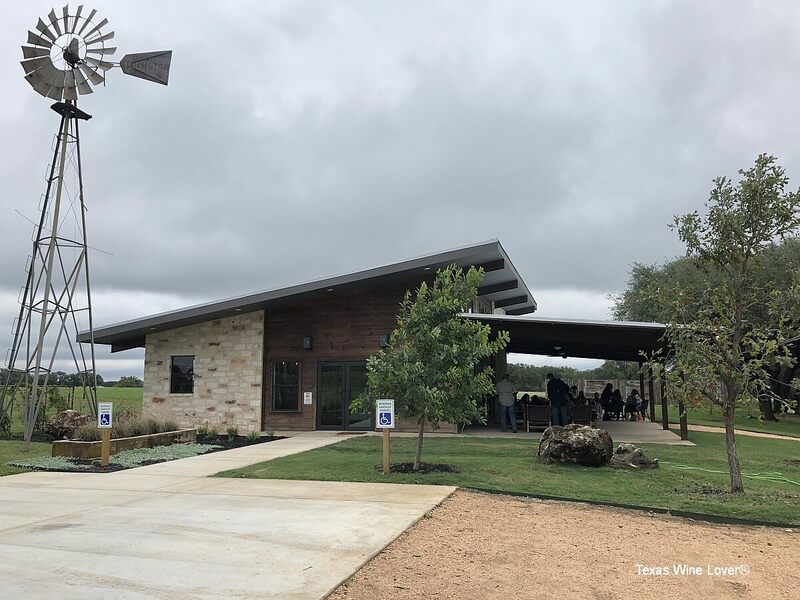 Since Lucho and Patricia have become true Texas wine lovers, along with wearing their Texas wine lover pins, the next priority was to visit new wineries that Gloria and I may have visited, but they have not. They have become frequent travelers with us, so it was a great idea to get in sync with the wineries visited. After compiling the list of wineries and then searching the hours they were open for the two days, this was going to be a very tough trip to plan! 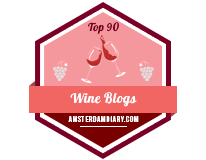 With all the new wineries that have opened in the past year, there really was no time left to visit our group’s favorite wineries. And due to the number of wineries to visit, the schedule was going to be tight. I shared it with the others and they were game, so we set up appointments where necessary and were ready to go. As they often say though, please do not try this at home! We left Houston at 7 a.m. and Gloria volunteered to be the designated driver for the weekend. Always have a designated driver if you can. 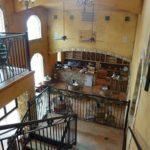 Our first visit was to Siboney Cellars which is co-located in Hawk’s Shadow Winery. We have been waiting to try Barbara and Miguel Lecuona’s wine for a while now, so it was finally time. 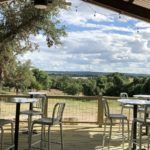 Lucho and Patricia had not had the pleasure of visiting Hawk’s Shadow Winery, and after all the twist and turns in the back roads, they were very impressed with the view from the winery. Barbara knew we were coming, and we enjoyed a wonderful tasting with her of their current wines. Doug Reed of Hawk’s Shadow was getting set up for the day of visitors, so they got the chance to meet him too. 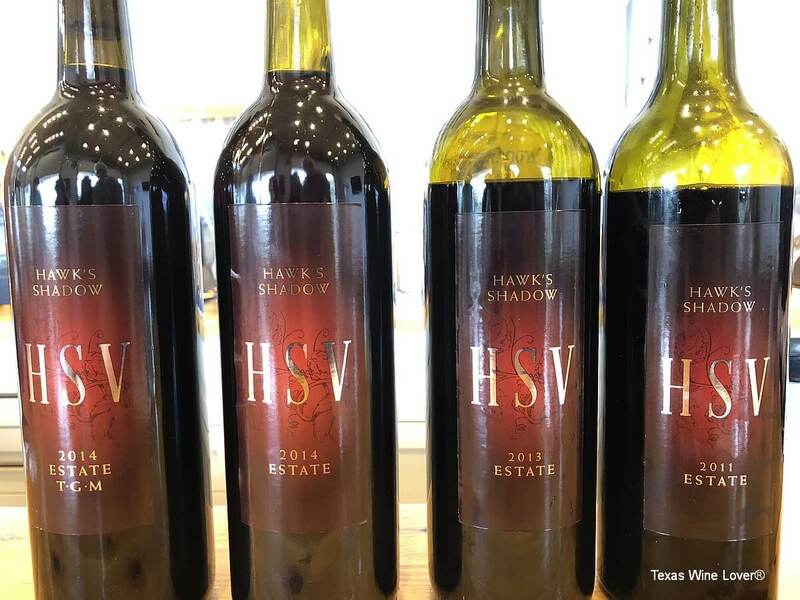 After our Siboney tasting, it was only appropriate for a tasting of Hawk’s Shadow wines. We didn’t taste everything, but we did get to enjoy a wonderful vertical of Estate wines from of the 2011, 2013, 2014, and the 2014 T-G-M (Tempranillo-Grenache-Mourvèdre). 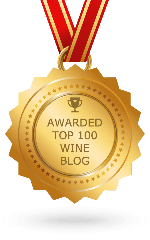 Over the years, we were all sure that we had tasted some of the wines like the 2011, but whoa, it was really tasting well as it shows what wonderful things age can do to a wine. We had previously made our next appointment, so we said goodbye and headed toward U.S. 290. The next stop was the new Cicada Cellars. Once in Stonewall, we met owner Jeff Williams in the newly remodeled winery. 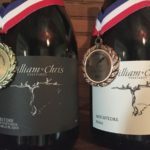 I was not expecting a tasting room since they are offering their services as an incubator for potential new wineries, but it was a pleasant surprise to be able to taste some of Cicada Cellars’ wines in the tasting room. We will definitely be making a visit back there! Next on the agenda was a tasting at the recently opened 290 Wine Castle. 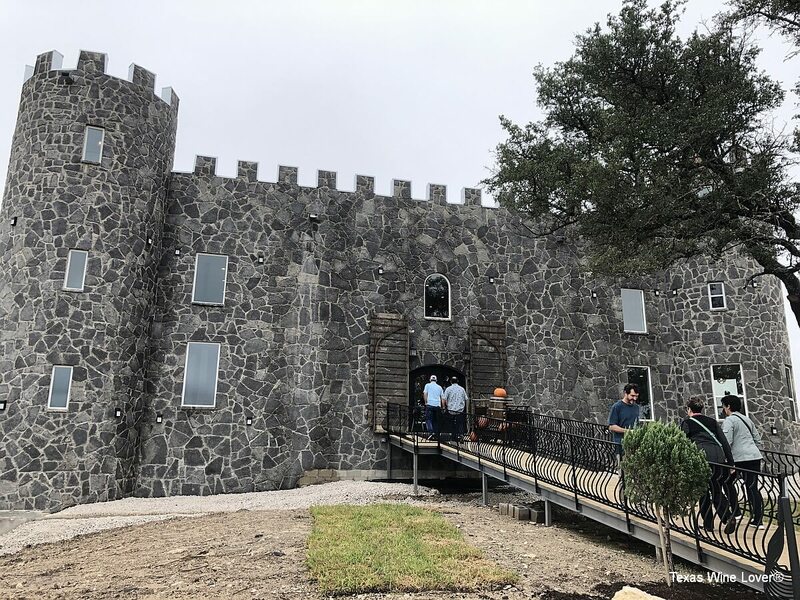 There had been a lot of good things said about the new winery, and since I have loved castles, knights, and all medieval things since a child, I was looking forward to the visit. 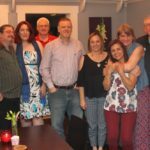 We met co-owner Monique Chase when we arrived, and she got our group started on a tasting. All of the wines are non-Texas, but they have made a wonderful selection of wines to begin the new winery. They do eventually plan on having Texas wines. After our tasting, Monique gave us a tour of the dungeon where guests can reserve a tasting. It sounds like a unique idea with the darkened dungeon where guests have to depend on the taste and smell of the wines instead of using their vision. We definitely have to return to try that experience! Upon arrival back in the daylight, we met Mike Chase before we had to leave. The next winery was Ab Astris which had also recently opened. 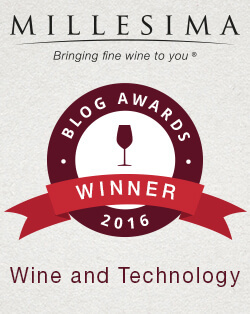 They use consultant John Rivenburgh for their winemaking, so we knew it was going to be good. And sure enough, we were not disappointed. There is a large patio at the winery, but we decided to stay inside the tasting room and stand at the tasting bar. Present were all the owners Tony and Erin Smith with their daughter Kristen and son-in-law Mike who is the winemaker. All of us loved the wines and mark another new winery down as one to return to. Along the way to our next stop, we stopped at one winery to pick up Lucho and Patricia’s wine club shipment. Then it was to visit the new location for Bingham Family Vineyards – Fredericksburg. The tasting room still has some work to do, but it is ready for you to visit. 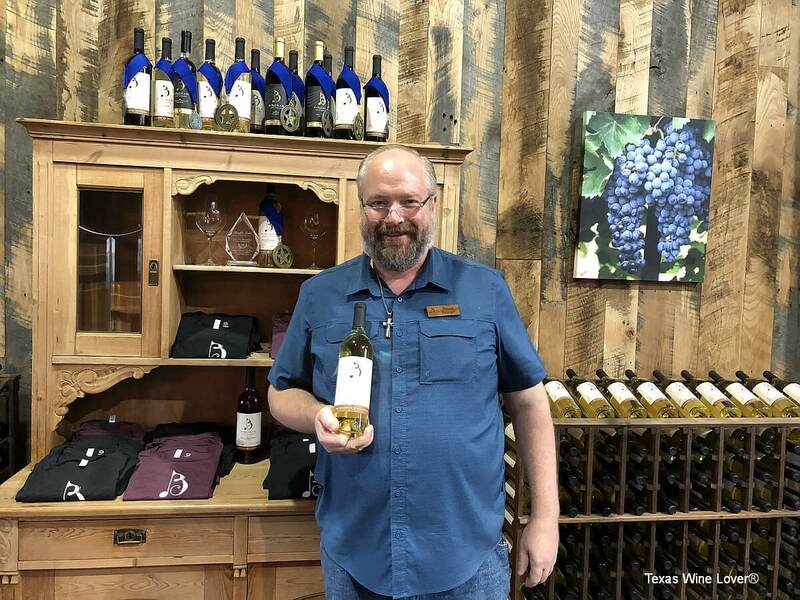 We had all enjoyed recent visits to the Bingham Family Vineyards tasting room in Grapevine, so we decided to just enjoy a favorite glass of wine. We look forward to returning to see the completed tasting bar and other changes. 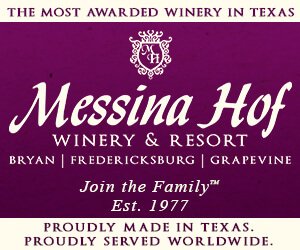 The next winery that Lucho and Patricia needed to see was Texas Heritage Vineyard. Thankfully owners Billy and Susan Johnson were present as they are a fun couple. By this time, even though we had done it somewhat previously, we decided it was time to start sharing tastings. And thankfully Gloria was being very good at being the designated driver. 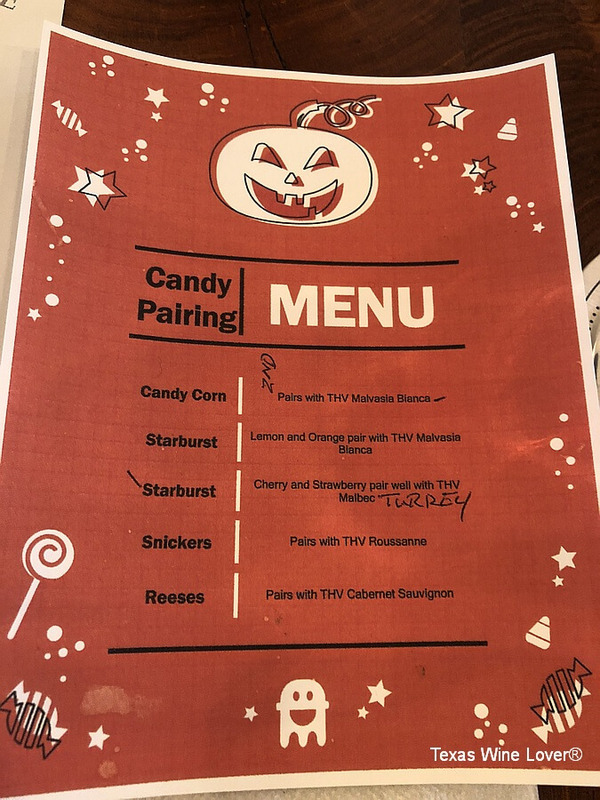 Billy handled our tasting with some really cool Halloween candy and wine pairing. This is another winery who uses John Rivenburgh as a consultant, and lo and behold, there was John! It was nice seeing John again and meeting his family. 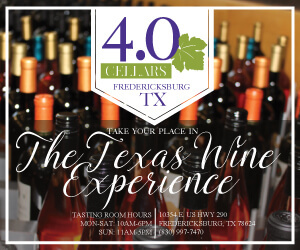 We had another great time at Texas Heritage Vineyard, and Lucho and Patricia also agreed they needed to return. 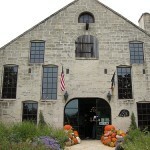 Last, but not least, on the winery schedule was Longhorn Cellars. We saved them for last because they were open until 6:30 p.m. on a Saturday. It seems most wineries close at 6:00 p.m. on Saturdays, so it makes it tough to visit who you may want to. Gloria and I had been to Longhorn Cellars for a preview before they opened, so it was going to be nice to visit now that they were open and taste their wine. Plus, one of our favorite tasting guides was now working there. We arrived and co-owner Deanna Dickey set us up on the patio with Vinny Lupo, the tasting guide just mentioned. By this time, only Lucho and I were stepping up to the plate to represent our group. 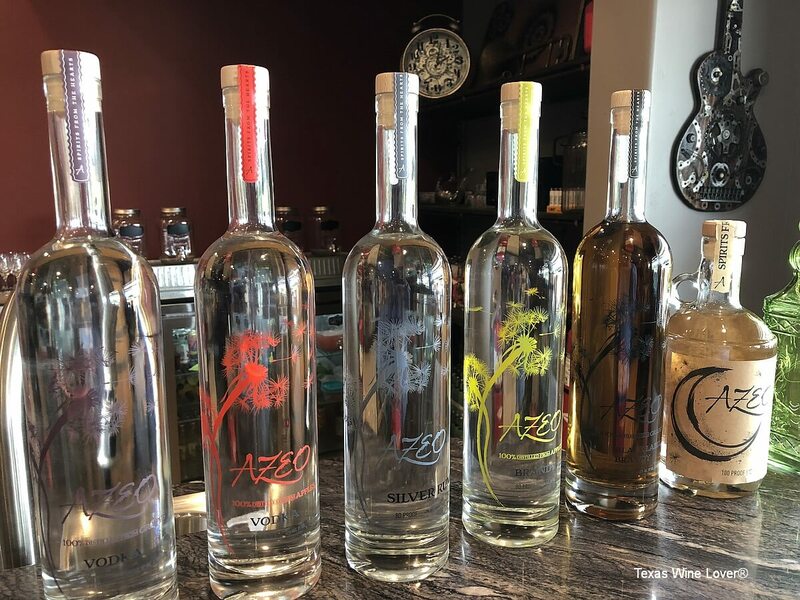 Vinny was back in perfect tasting guide form as we enjoyed a fun tasting along with co-owner Michael Dickey visiting with us. 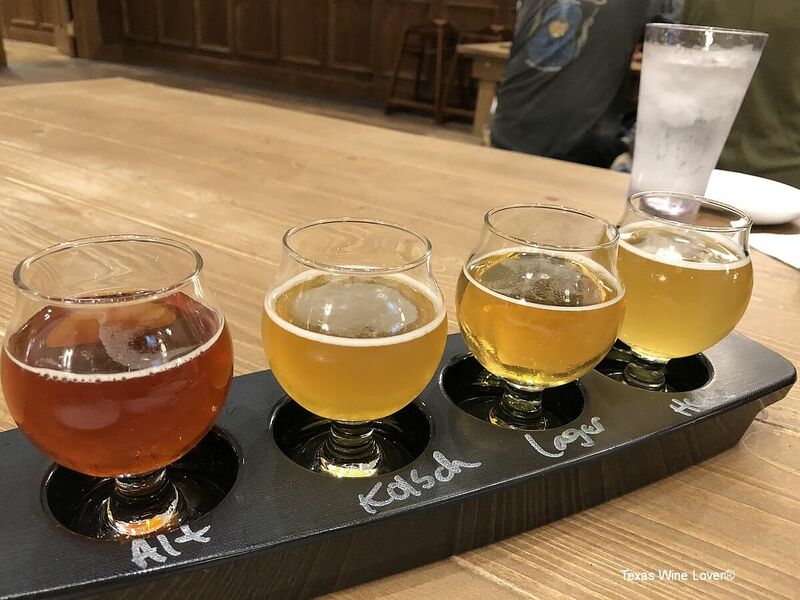 It was time for dinner, and what better way to end the day than at the newly opened Altstadt Brewery. After all, a beer is what a lot of winemakers enjoy after a long day in the winery. 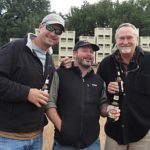 If you have driven on U.S 290 on the way to Fredericksburg during the past few years, you have seen this large brewery being built. We couldn’t wait to visit and thankfully Altstadt Brewery also has a Biergarten currently open serving dinner. A fine dining restaurant will be opening in early 2019. We enjoyed dinner in the large Biergarten along with Lucho and I enjoying a flight of some of their beers. By the end of dinner, we would have loved to look around the brewery more, but it was very busy, and we were all tired from the very long day. It was time to head back to Johnson City to stay overnight. We had made reservations at the Airbnb Farmhouse Vineyards Guest Cottage and had no problem finding it once we arrived in Johnson City. After a little exploration of the cottage, we all agreed it was time to visit the bedrooms and call it a night. On Sunday morning, things moved a little more slowly than usual and plans got changed. Nobody felt like cooking breakfast, so after saying goodbye to the cottage, Gloria started driving back to Fredericksburg. We walked a little on Main Street checking in some of the stores that were open, but primarily trying to decide on a place to eat, by this time brunch. We finally chose on a restaurant none of us had tried, The Rathskeller. Service was a little slow, but the food was good. After a couple more winery stops for Lucho and Patricia to pick up wine club shipments, we next went to Horn Winery. Gloria had not been to Horn Winery while the rest of us had, but none of us had a chance to visit the adjacent Azeo Distillery that was now open. I must admit that my stomach wasn’t feeling too well that morning, but after some tasting of the various vodkas, rum, brandy, and moonshine, I was feeling much better. It’s funny how sometimes a spirit makes a nice digestive. We all enjoyed the spirits, but unfortunately none can be purchased on a Sunday. I’ll never understand some of these laws. We had to get going because we had made an appointment at Crowson Wines back in Johnson City. Henry Crowson greeted us, and along with another group who had arrived at the same time, we all started a tasting. Henry was an informative guide as he explained his wines and winemaking style to the group. During our tasting, Bryan Gillenwater of nearby Bryans on 290 restaurant, stopped by to say hello to Henry. Our group has enjoyed Bryan’s restaurant in the past, so it was nice to see him there. 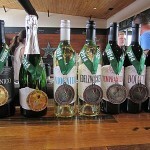 It was another wonderful tasting of Texas wine. Ready to head home, we saw a sign reminding us of Hahne Estates Winery which was just around the corner. We have known owner Gary Hahne since he was first back in Navasota, so we decided to visit and introduce him to Lucho and Patricia. Gary has a very interesting family history with Lyndon B. Johnson while he was President, so it is always an education listening to Gary’s stories. Stop by and learn a little history. We definitely had to go home, so we started our long trip back to Houston. 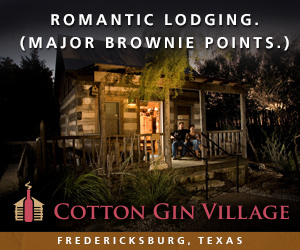 We look forward to that high-speed train between Houston and Fredericksburg to be built (we could only wish), but until then we’ll have to make the long trip ourselves. With the new wineries that have opened and the new wineries still to be open within the next six months, we all agreed that two day road trips just don’t cut it anymore. We need to start making three day or longer trips, so we can stop at our favorite wineries to just relax and enjoy the day. In fact, we are going to be doing just that very soon with a three day road trip. 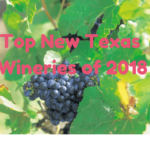 But the one thing we definitely learned throughout our days of visiting new Texas wineries, was there are some very good Texas wines being made! 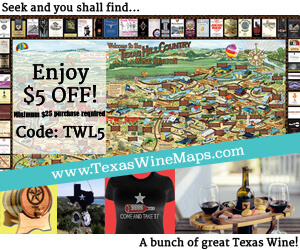 We also made some new favorite wineries, so our next trips to the Texas Hill Country are going to be even harder to plan.